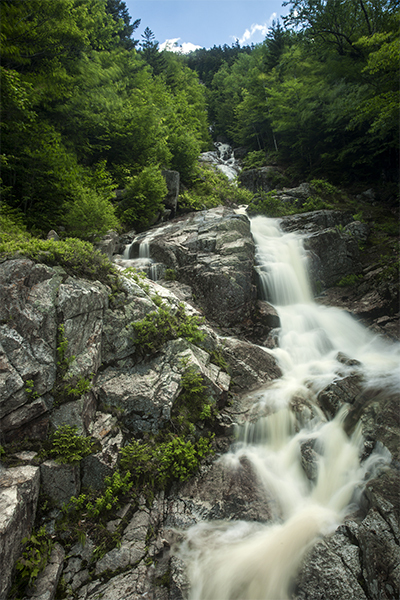 Flume Cascade is the less-visited sister of nearby Silver Cascade, which lies a few hundred feet southeast of these falls. 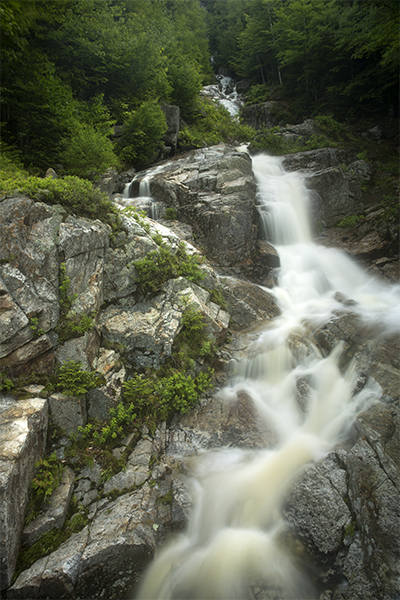 Flume Cascade is often confused with The Flume, which is actually part of the Falls on the Flume-Pool Loop, a separate waterfall in a different region of the White Mountains. At Flume Cascade, small cascades and plunges end up in the Saco River below the highway. 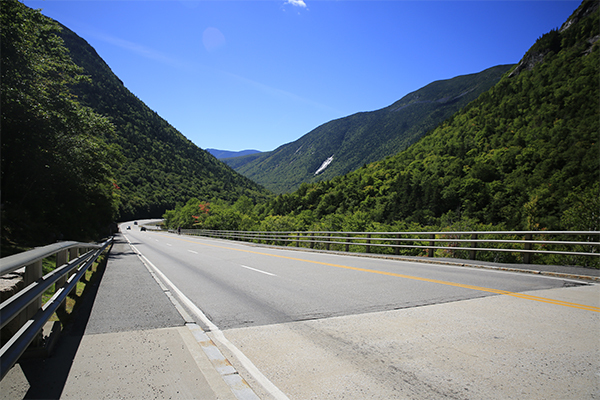 Be sure to scramble up alongside the right side of the falls for additional and improved views that are not seen from the highway. The falls is even more beautiful in early spring when some of the water is still frozen. 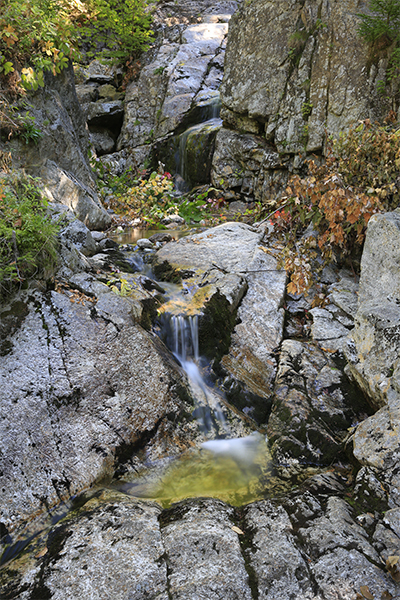 During this time, the waterfall not only looks larger and bolder, but the ice formations created here over the rock face can be quite dazzling. 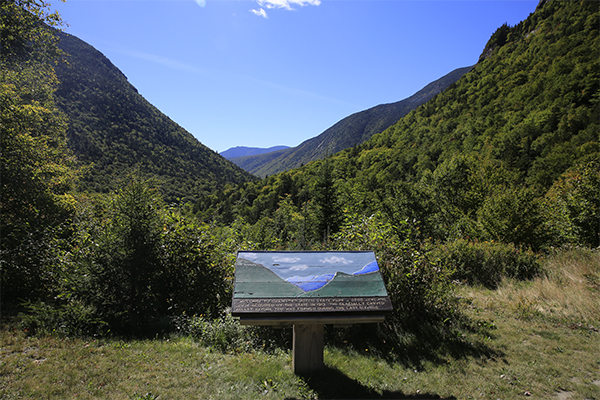 Also take time to enjoy the scenic views of Crawford Notch, both from the road and from the parking area.